Home > Publications > The Sahel crisis: where do European and African perspectives meet? The Sahel crisis: where do European and African perspectives meet? 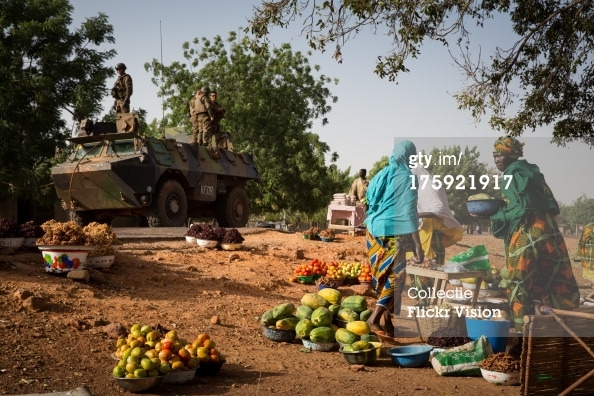 The crisis in Mali has brought the Sahel to the centre of international attention. This fragile region not only suffers from longstanding development challenges, but also from an acute security vacuum that has triggered military intervention. Many questions have arisen as a consequence of the crisis. Has the European Union the ability to cope with such a complex and dynamically evolving security environment? How have divergent views on the political roadmap to be adopted, and the lack of resources at the African level, impacted the crisis response? Can the different players involved agree on what are the most pertinent needs and challenges to be addressed? Are they ready for long-term engagement? Can regional organisations effectively collaborate and are they able to successfully integrate different agendas? Following a conference organised by the Institute for European Studies, the Egmont Institute and the Observatoire de l’Afrique on these questions this Policy Brief builds on the findings of the conference and provides an analytical overview of the regional crisis by focusing on the main challenges facing the Sahel, the local and regional dynamics at play and the military and security response.